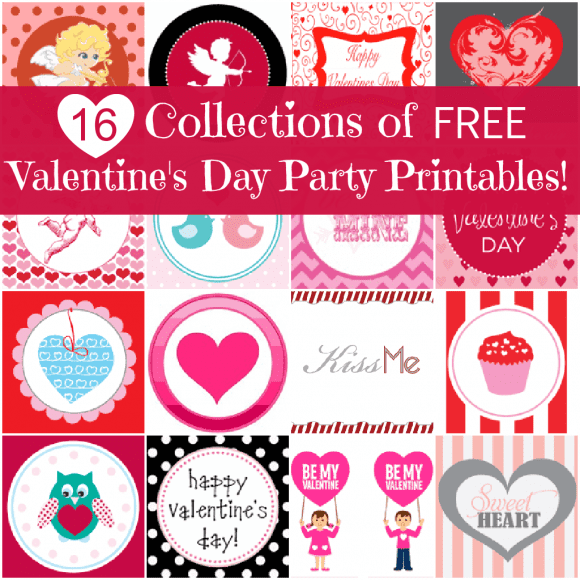 16 Collections of Free Valentine's Day Party Printables! Do you need free Valentine's Day party decorations, party invitations, or just plain Valentines? Check out all our fantastic free collections of Valentine's Day printables!! And if you need ideas for throwing your Valentine's Day party check out these awesome Valentine' Day parties on our site!